Home » Education » Are Big Companies the Future of Education? Are Big Companies the Future of Education? Every year governments all over the world cut Educational budgets. Education is not profitable in the short-term. Over 70% of students are underage so they don’t vote. Political parties have it easy to relocate money to more trending areas and population usually doesn’t complain. But year by year Education deteriorates. No money is invested in renovating methods and approaches. Teachers and professors also need to recycle every now and then, but Education is a low and lazy machine. What happens when public money doesn’t flow and interesting areas are left to rot? That private corporations enter the market and change things. They have the money, they have the will and they are already doing it. Gamification World Congress 2015 has presented us with some of the most innovative companies in the Spanish territory in terms of Education and Corporative Training. Companies like Santander Bank, or AEGON are investing in Gamification and Serious Games to improve their clients and employees’ Education and Experience. Others like Telefonica, are also creating products for any person interested in learning. How can you train your around 200.000 employees in the company’s philosophy? For Santander Bank, the answer is Serious Games. 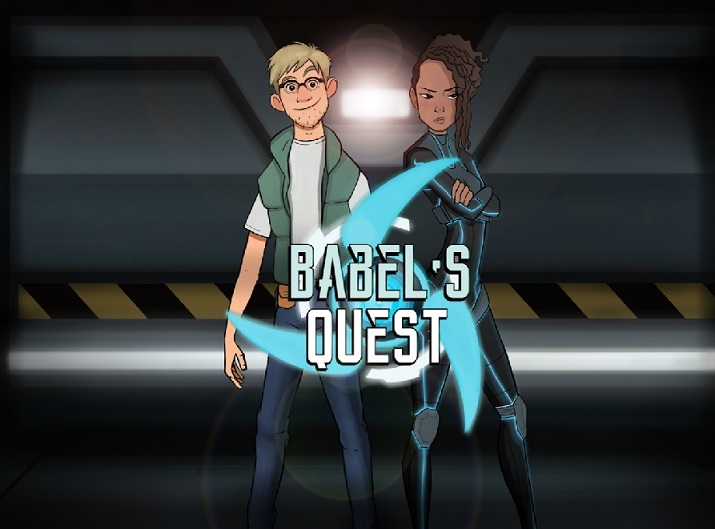 The company has developed a video-based video game to easily let employees practice the correct application of the company’s core values: Simple, Personal, Fair. Using the game, employees will be able to try different approaches receiving an instant feedback from different types of clients. Serious Games prove to be a great way to use trial-and-error in a safe environment free from clients’ complaints or employees’ anxiety. How can you convince your clients to contract your company’s services? Years ago the key was spending money in advertising, but now, the model is changing little by little. With the Internet in our hands, clients search for information before buying. Why? How? What? They use what they learn to choose the proper service. So attending to this shift in clients’ habits, Aegon, the insurance company has created a Serious Game to teach how the pension’s system works. Players try different options to handle their money and see what will be the repercussion on their future. Smart clients are not a menace anymore, but a guarantee that they will spend good money in your product if you are smart enough to explain the advantages it has. You can take a look to the game in this video. Telefonica, the Spanish carrier, has been investing in technology applied to Education for 15 years. Telefonica Educacion Digital, the Educational area of the company, offers all kind of online Educational contents and most of them, for free. Their catalog includes MOOCs, e-Learning, Online courses and masters, corporative programs, conferences and forums to contact other professionals. ‘Scholartic‘ is a free MOOC platform oriented to blended-learning and skills acquisition for teachers. The site offers interesting courses in Spanish to improve the application of new technologies in the classroom. Gamification for teachers, Flipped Classroom, Programming or Multimedia Creation are some examples of what you will find in Scholartic. ‘STEM by me‘ is oriented to improve STEM knowledge (and love) among teenagers. Usually the most hated subjects, Science, Technology, Engineering, and Mathematics are key topics for success in our technological future. STEM by me is focused on stimulating teenagers’ interest in a future career in this areas through contests, trivia, experiments and practical approaches to the STEM curriculum. 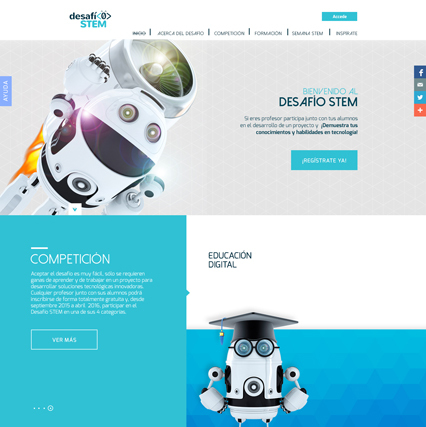 With the same philosophy, ‘Desafío STEM’ is a contest for educational institutions to look for the best project in robotics. The inscription includes free online lessons for teachers and parents to better orient students in their projects. ‘Learning-by-doing’ is undoubtedly the best approach for kids to get involved and excited in the STEM world from an early age. ‘Talentum empleo‘ is oriented to young professionals from 18 to 35 interested in a career in software development. The program offers free on-site tuition in relevant programming languages as JAVA, Ruby on Rails or PHP. ‘MiriadaX‘ is the Biggest MOOC’s platform for the Spanish and Portuguese speaking markets with 1.700.000 students, 338 free courses and 64 universities involved. If you still don’t know what MOOCs (Massive Online Open Courses) are, you are about to discover a huge world of free online education. ‘WeClass‘ is an LMS (Learning Management System) platform to use in the classroom, compatible with all publishers and accessible from any mobile device that allows us to customize the education. Teachers can upload their contents, create tests, add notices to the students and all from a single platform. Employees, clients, general population… Why are these companies investing so hard in Education? They are joining the conversation of their users, talking their language, solving their doubts, trying new things and in their way, creating solid branding. All things that public education and traditional models are way too far from fulfilling. Training employees boost productivity. Informing potential clients create happy customers. Educating people in digital skills put technological companies and population in the same level. So, of course, companies will have their profit, but is this so bad? We could think Education in hands of big corporations is dangerous. Who will filter the contents? What kind of values will they teach us? Will they try to sell their products? We would answer these questions with this reflection: If current public Education is outdated, biased, politicized, ineffective, disheartening and mainly useless… what are we afraid of?